One in three drivers get behind the wheel in flip flops – a shoe which appears to cause 1.4 million road accidents or near misses every year. 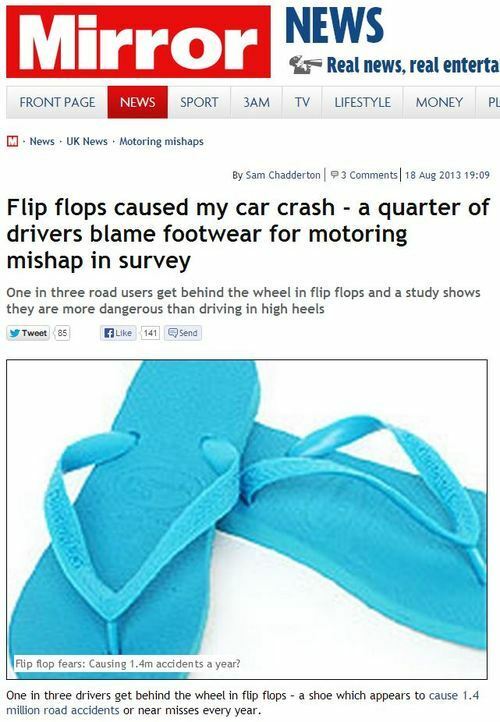 In a poll, 27% of drivers admitted driving in flip flops had caused a mishap, and 11% said the shoe had got stuck under pedals. They may be ideal footwear for summer, but the next time you think about driving in flip-flops it might be wise to kick the idea into touch. 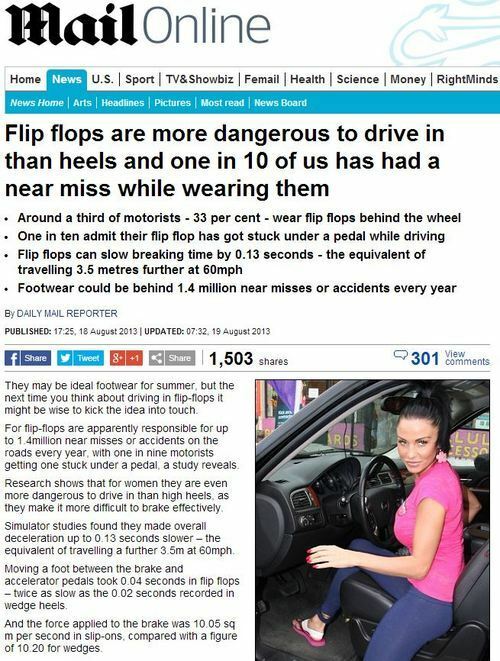 For flip-flops are apparently responsible for up to 1.4million near misses or accidents on the roads every year, with one in nine motorists getting one stuck under a pedal, a study reveals. 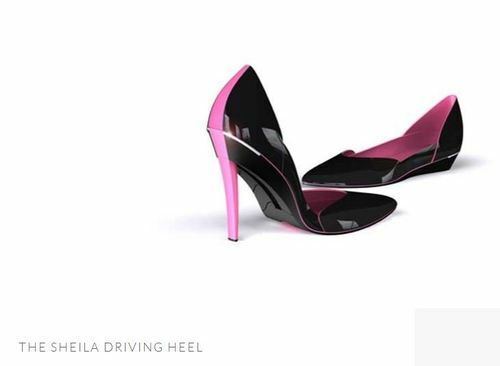 Research shows that for women they are even more dangerous to drive in than high heels, as they make it more difficult to brake effectively. Jacky Brown, of Sheilas’ Wheels, said: ‘It’s worrying that so many drivers out there do not realise the impact their footwear choices can have on their safety at the wheel. ‘Millions may think they can drive safely but may not realise the shortcomings of the flip-flop until it’s too late – putting themselves, their passengers and other drivers at risk every time they get in the car. This entry was posted in Uncategorized and tagged daily mail, daily mail reporter, jacky brown, mirror, sam chadderton, sheilas Wheels on October 18, 2013 by Michael Marshall.